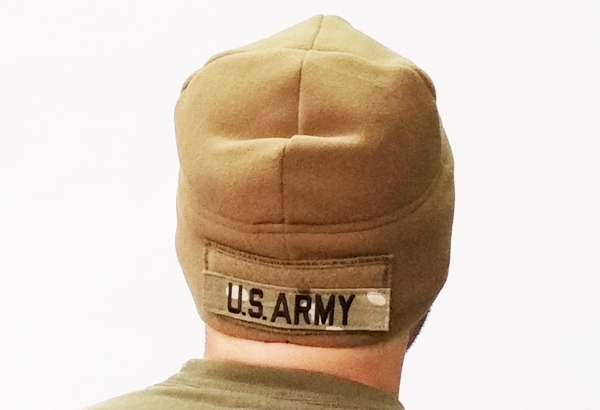 Upgrade the Army issue cold weather / watch cap and modify it to be a solid patch platform for duty patches, or morale items. OPT's owner approached Milspec Monkey about modifying an existing design he sells by adding a rear patch panel to hold the US Army Nametape. 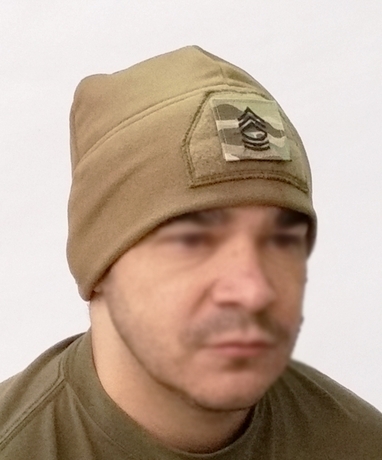 THE OUTCOME: A quality, comfortable, and warm watch cap which accommodates duty patches or morale items. - Rear Pile Tape is 1.5" x 4.75"